Whenever a developer goes from making solid AAA titles to testing the waters in VR, it can sometimes be an almighty mistake, or to a lesser extent, underwhelming. Take Supermassive Games for example; Until Dawn was excellent, but Bravo Team was hot garbage, and The Inpatient began to dwindle as it went on. Neither stood out as decent forays into VR, and these missteps got me worried when I heard FromSoft were going to create something in virtual reality. 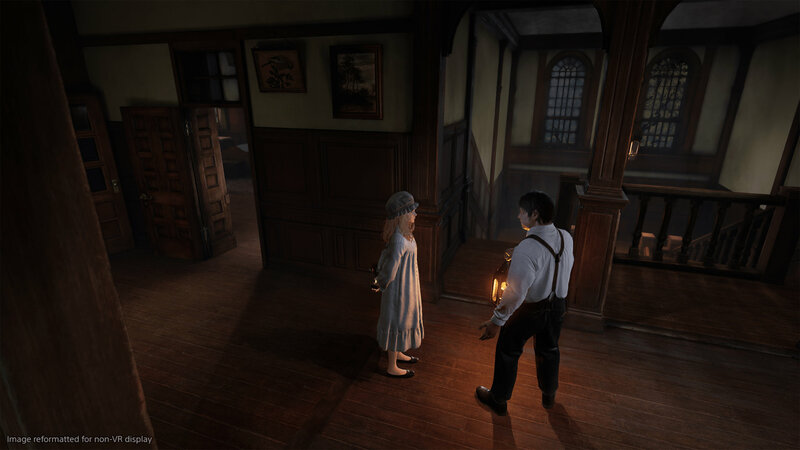 Déraciné isn’t a bad game, in fact it’s quite the opposite, but the pacing will not satisfy everyone, and the constant backtracking with the point and click mechanics do their very best to frustrate. Set inside a boarding school in what seems like Victorian times, you are a faerie – a being that exists like a ghost between time periods. At first you’re invisible to the children, but the more you play, the more you’re recognised, and eventually become a part of their lives no matter how small an impact you have. It’s a slow story, and it never really gets going until the end, but there are moments of beauty and pain throughout. 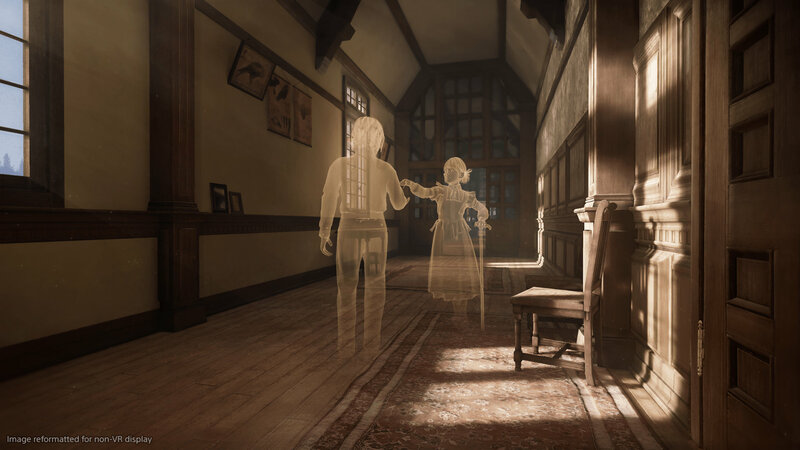 This isn’t a horror, rather an eerie tale that follows the same styling as Everybody’s Gone to the Rapture. There’s lots to inspect and investigate, such as the ‘memories’ of the children that live/lived there, and items you can interact with. There’re plenty of clues for you to find, but you’ll find it difficult to work out what can and can’t be touched until it clicks, and you realise anything that sits on its own can pretty much be picked up and looked at. Doing so can show you the next step in the story, or unlock a memory in the shape of a small ball of light akin to Rapture. 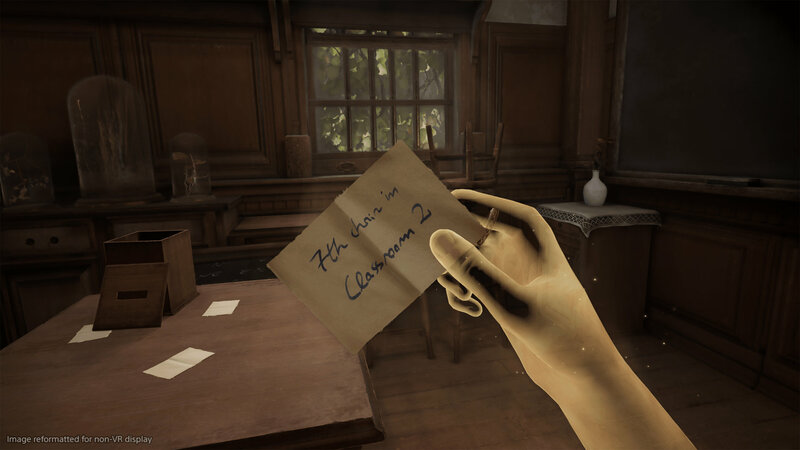 If you’re expecting high levels of excitement, Déraciné isn’t for you; the story itself and how you play into it is rather gripping, but it takes some time to find its feet. Moving around is my biggest gripe. Small panels of blue light highlight where you can move to, and clicking on the move controllers allows you to move there. Going from one room to the next is where it begins to frustrate, as you’re constantly turning at 45 degree angles, and it happens a lot, whether you’re roaming the gardens or trying to climb up the staircase. I understand nausea is always going to be the paramount concern for any developer, but there should at least be the option to move around more freely, especially as you have to do so quite a bit. FromSoft’s trademark art style is present in every room and every setting. Characters are animated like the humans in Bloodborne, to the point that one of the girls looks exactly like Doll, only younger. There’s a lot of light browns, pale skin, and bland colours, but it fits with the story being told. Voice acting is very similar too, and even the dialogue boxes that you can bring up all feel familiar, which is a good thing when the game makes you feel so isolated. There’s a strange sadness to the children, and being invisible to the eyes but not entirely ignored, you feel an odd bond with them. Some can sense you – feel your presence – and it’s unnerving. Not scary like Miyazaki’s previous works, but an odd sensation of trouble fills every moment. The game features a narrative told mostly through the notes you find and the memories you see, but it’s all so subtle. FromSoft have always told the best stories when you’re the one working it all out with the minor details being the biggest plot points. In terms of the gameplay, you’re solving puzzles to progress. Sometimes it can be as easy as finding a key, or collecting items to use in one of the children’s pranks. I found that multiple times the things I was looking for were never obvious, and it resulted on me clicking anything and everything to find the right clue. Once you’ve solved a puzzle, you can use your pocketwatch to travel to the next, and you’re also in the possession of two rings that have magical properties that have the potential of bringing life as well as taking it away. There are some nice ideas in Déraciné, but it can often lead to a lot of backtracking, investigating, and pure luck. Déraciné is a story you’re very much a part of. It’s haunting, solemn, and often sad, but you can’t help but adore the world Miyazaki has built. 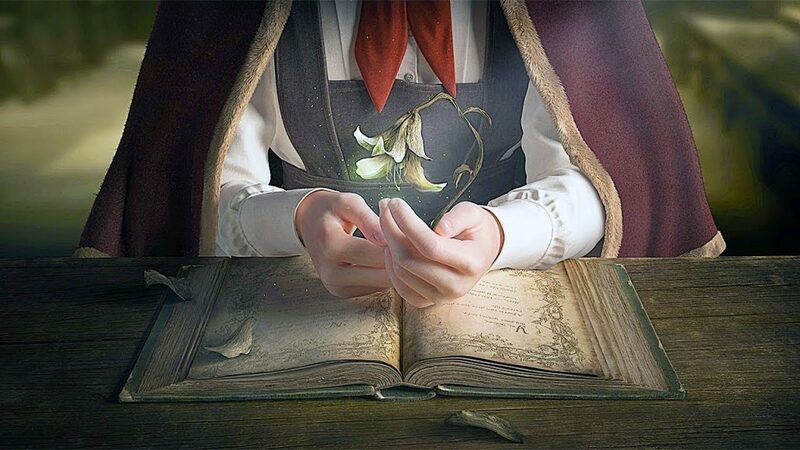 It isn’t a game that requires swords, axes, and vials, but one you exist in and appreciate every detail and every story point of, no matter how slowly it’s drip fed to you. It definitely feels like a first VR game, but there’s plenty here to appreciate, and it’s a definite foundation for potential future endeavours into virtual reality for the king of atmosphere and his incredibly talented team at FromSoft. FromSoft's first VR game isn't an instant classic, but there's a lot here to give fans of the developers a look into where their talents can take them in the realms of virtual reality.